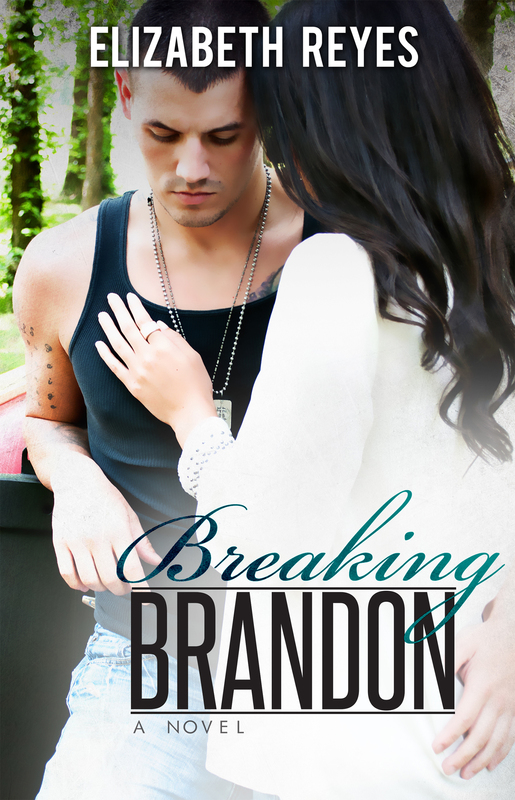 The newest addition from Elizabeth Reyes is Breaking Brandon. Remember Brandon? He was in the Moreno brothers series. He was the guy that Sofie kissed and almost lost everything she had with Eric over. If I remember correctly alot of us almost wanted her to do it. There is just something about him thats is addictive. I wanted more of him. We couldn’t do that to Eric though. Now however Elizabeth has written him his very own story. Breaking Brandon. Here is am going to do a cover reveal and show you a teaser pic ans then I have some very exciting news. I almost wet myself! How hot is this cover. Now check out this teaser. Intrigued? Good! Now for the exciting bit. Did you know that today is Elizabeth Reyes’ birthday. What did she do? She gave us a gift. So instead of this post being a cover reveal as originally planned I get to tell you this instead…She hit publish. Thats right, Breaking Brandon is now live. So give a present back to Elizabeth and go get a copy! I’m off to start mine.